Great service never had to go to court. Johnathan Katz Law Firm dealt with my speeding ticket quickly and effectively. The Law Office of Jonathan Katz is the real deal! I was cited for distracted driving in Monroe NY and made one simple phone call to The Law Office of Jonathan Katz. I communicated primarily with Liz Sullivan via email and I found her to be professional, hard-working, as good as her word and all at a fair price too. The hundreds of dollars that Ms. Sullivan and her associates saved me on the initial fine was nothing compared to the thousands that they saved me on potential car insurance premiums, not to mention the excessive points that would have been on my license. If you have traffic ticket issues this is the Law firm for you". My issues were resolved on what were probably the best terms i could have gotten, and I didn't have to appear. Very easy to work with and extremely professional. Your employee Liz was outstanding, very professional, and helped me gather all the necessary information in such a timely manner. I would work with you and her any day. John is very calm, knowledgeable and understanding. Warm , pleasant, clear communications, timely responses. Jonathan was very reassuring and patient dealing with my legal situation. The office staff were EXCELLENT....very responsive and supportive. Your firm is making me feel very confident on the outcome of this matter. Very quick response and informative on what you will need to have the most successful experience possible. Knowledgeable, quick service and answers to questions. Service was corteous and timely and my questions were answered honestly. You made things very straight forward and easy. You made a stressful process less stressful. Thank you. Take care fast no waist of time. Promptness, attention to detail, negotiation and execution as agreed. Your staff was most helpful, courteous and efficient. Thank you all. They were super efficient and great to work with. They took care of everything so I had no stress! You were very clear and straightforward in indicating the documentation that I had to provide and in the service that you would provide. You carried out the necessary legal representation. The lawyers at the law offices of David Katz were very helpful to me when I hired them to represent me for a traffic ticket, the ticket was resolved favorably and promptly and everyone I was in contact with were professional, friendly and knowledgeable; they made the process very clear and manageable; I would recommend them to any one of my friends or loved one! Liz Sullivan from the Jonathan Katz staff was most helpful in providing me with the information necessary to dispute my traffic violation. By having Jonathan Katz represent me at court I received a most successful plea with 0 points. Thank you Liz and Jonathan. 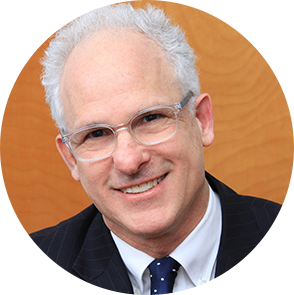 Jonathan Katz is an excellent divorce attorney and I highly recommend him. During the entire process, Jon was there for me from the beginning of the litigation to follow-up questions afterwards. the paperwork was timely filed and motions carefully researched and submitted. Jon was available to answer all of my questions and promptly returned my telephone calls. Jon Katz did an outstanding job representing me!!!! Jon took my case that was looking like I had absolutely no shot and turned it into an even playing field. He never mislead or deceived and was always straight forward with me. He talked me through each step so that I was never in the dark about anything. He also has a great staff, friendly and attentive. I will/would hire him again. Thanks for all your hard work Jon. A real good guy- down to earth and reassuring. Truly exceptional service, highly recommend! Got a traffic ticket in Dutchess County. First one in a long time. So I looked for local traffic attorney and saw Jonathan Katz Law with great views. Susan took my call, she was very patient and provided me with a lot of valuable information. She explained the process and the options available. She encouraged me to do more homework first (e.g. calling the town court, checking with insurance company etc.) before deciding whether to use their service. She also followed up with an email, showing me how to retrieve my NYS driving record. She’s professional, responsive and honest. Truly exceptional service, highly recommend! Excellent results , very pleased !! I had a wonderful experience working with this law firm. They took care of everything for me, I did not even have to attend court. My 4 point ticket was reduced to a 0 pt violation , which I was very pleased with. Jonathan Katz and his associates worked in a very timely manner and I didn't have to worry or stress about the process at all. I live 2 plus hours from the area where the ticket was received and I was very pleased how minimally I was involved in the process yet, was kept very informed. Liz was very professional , effective, a pleasure to work with and made the process very easy for me. I would highly recommend Jonathan Katz law firm !! I spoke with Jonathan's office for a speeding ticket and was treated with friendliness, fairness, and transparency. I'm in sales & customer service so I know when I'm being treated well and when I'm being treated poorly and they definitely treated me well. I received the outcome I expected and an extremely happy with the service! Handled a traffic violation for me. Attorney Katz did an excellent job, exceeding my expectations at a fair fee. The office staff did an kept me informed and followed up on every detail. Highly recommend. I came to Mr. Katz and his staff with a traffic ticket case, and they handled it professionally and delivered a favorable outcome from the court. I was very pleased with the service.